Pixelmator for Mac | View Larger. Asking which is the best pixel-based photo editor for Mac OS X may sound like a simple and straightforward question, however, it is a more complex question than it may at first seem. There are lots of factors to consider when deciding which is the best photo editor and the importance of the various factors will vary from user to user. 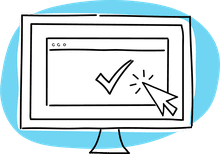 Because of that, picking a single application must involve compromises as what is right for one user may be too basic, too complex or too expensive for another. By the end of this piece, we will share with you what we consider to be the best photo editor for Mac OS X, but first, let's look at a few of the options available and what their strengths and weaknesses are. There are a surprising number of photo editors available for Apple Mac owners and I'm not going to make any attempt to mention all of them here. I am focusing solely on pixel-based image editors that are used for editing and adjusting raster (bitmap) files, such as the JPEGs produced by a digital camera. Vector line image editors are not considered within this collection. We may well completely disregard your own personal favorite editor, but if that app works for you, then we won't argue if you say that that application is the best image editor for Mac OS X. However, you might want to consider the applications mentioned here as an alternative, particularly if at times you find yourself starting to outgrow your current editor. If you have a completely open budget, then we have to point you directly to Adobe Photoshop. It was the original image editor and initially was only produced to run on the old Apple Mac operating system. It is seen as the industry standard image editor and with good reason. It is a hugely powerful application with a wide and well-considered feature set that means it is just as at home editing photos as it is producing creative and artistic raster images. Its development, particularly since the introduction of the Creative Suite versions, has been evolutionary, rather than revolutionary. However, each release sees it become an even more rounded and solid application that runs natively on OS X. It is usually clear that other photo editors have drawn their inspiration from Photoshop, though none can match the feature set that allows for the flexibility of non-destructive adjustments, easily applied layer styles and powerful camera and lens specific image corrections. If you're restrained by a limited budget, then you can't find cheaper than free and that is what GIMP is. GIMP is often spoken of as a free and open source alternative to Photoshop, though the developers deliberately discount this. 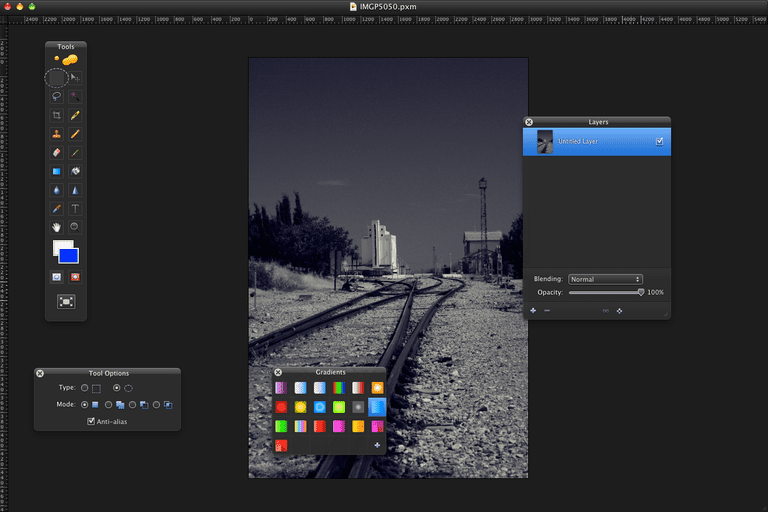 GIMP is a very powerful and flexible image editor that can be further extended through many free plugins. However, it isn't able to match Photoshop in several ways, including the lack of adjustment layers to make non-destructive edits to images and also the flexibility of layer styles. None-the-less, many users swear by GIMP and in the right hands, it can produce creative results that can match work produced by Photoshop. It is also worth noting that sometimes GIMP can offer tools not available elsewhere. For example, the Resynthesizer plugin gave GIMP users a powerful content aware fill tool long before such a feature appeared in Photoshop CS5. If you don't mind spending a little bit of money, then you might also want to consider Pixelmator, which is a very stylish and well-featured native photo editor for OS X.
OS X comes with the Preview application pre-installed and for many users, this will offer enough tools and features for making simple adjustments to digital photos. However, if you're looking for a little more functionality, without the steep learning curve of GIMP or Photoshop, then Seashore would be well worth a look, particularly as it is offered for free. This attractive photo editor has a clear and intuitive interface and a user guide that will take basic users with little knowledge through the concept of layers and image effects. It would be a good stepping stone for a move onto a more powerful photo editor, though it is likely to offer more than enough functionality for a large number of users. So Which is the Best Photo Editor for Mac OS X? As we said earlier, trying to decide which is the best photo editor of OS X is really a matter of deciding which image editor does the best job of reaching various compromises. All in all, we have to conclude that GIMP offers the best overall compromise. The fact that it is free means that absolutely anyone with an internet connection can use this image editor. While it isn't the most powerful or best-featured app, it is certainly near the top of the table. Despite that though, basic users can also use GIMP for simple jobs, without having to embark on the steep learning curve to make full use of every feature. Finally, with the ability to install plugins, it is possible that if GIMP doesn't do what you want it to, someone else may have already produced a plugin that will take care of it.